WELCOME HOME TO THIS CHARMING BUNGALOW LOCATED JUST MINUTES FROM DOWNTOWN METAMORA. 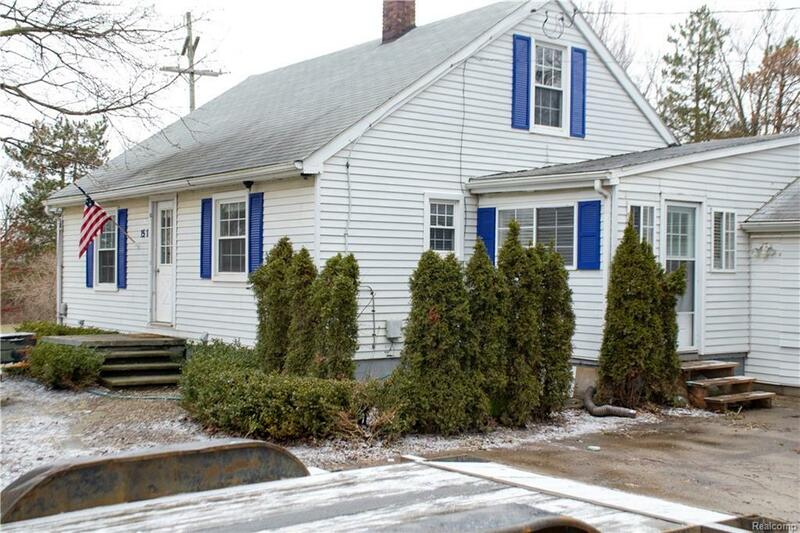 THIS 3 BED 1 BATH HOUSE IS PERFECT FOR THE FIRST TIME BUYER, EMPTY NESTER, OR A RENTAL PROPERTY. ORIGINAL HARDWOOD FLOORS FLOW THROUGH THE LIVING ROOM, HALLWAY AND BEDROOMS ON MAIN FLOOR. BEAUTIFUL UPDATED BATHROOM THAT'S A MUST SEE! OWNER HAS INSTALLED NEW TILE IN KITCHEN AND MUDROOM, NEW WATER HEATER, SOFTNER, AND WHOLE HOUSE FILTER IN 2018, BUILT A 18X24 POLE BARN, AND ALSO ADDED A NEW CEMENT PATIO IN THE BACK YARD. SALE ALSO INCLUDES PARCEL ID 04501002403. PLEASE NOTE THAT THE HOUSE HAS GREAT BONES AND IS IN NEED OF A LITTLE TLC!